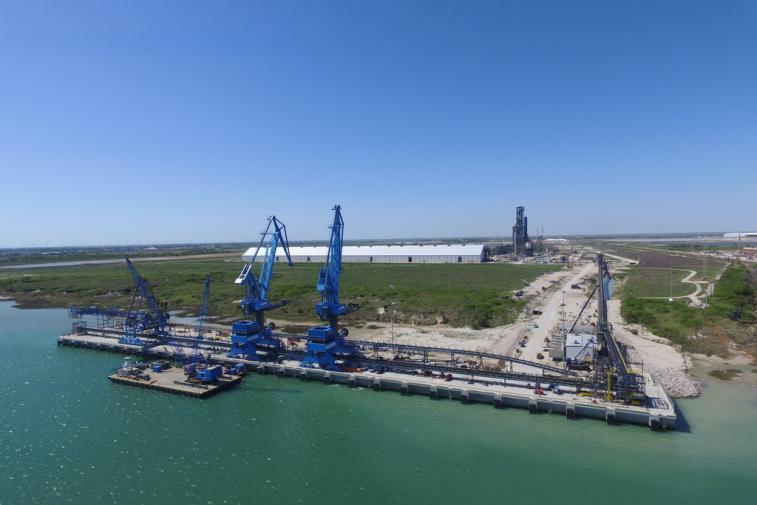 Construction of the voestalpine direct reduction plant in Corpus Christi, Texas, which is the largest foreign investment made by the Group or an Austrian company in the USA to date, is reaching its final stages. The last phase of plant assembly, including implementation of the process and control engineering, is taking place in parallel with test runs on selected equipment and systems. From today’s perspective, it can therefore be expected that the plant will go into operation largely as planned during summer 2016. From the beginning of the next business year the new plant will produce two million tonnes of high quality HBI (hot briquetted iron, or “sponge iron”) annually, a sophisticated pre-material for steel production. This represents another important step in voestalpine’s expansion in the NAFTA region. The voestalpine Group already has 64 sites and around 3,000 employees in the region and generated revenue of around EUR 1 billion during the past business year. 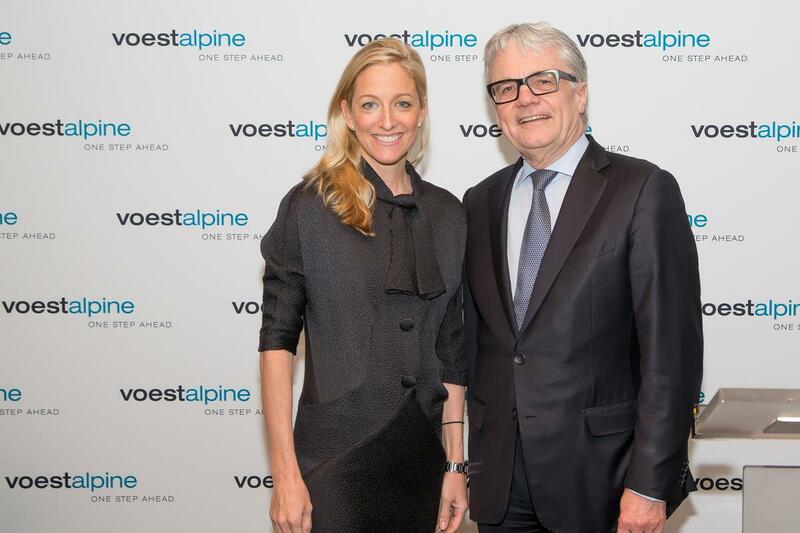 voestalpine is consistently driving forward its strategy of internationalization in markets outside Europe. Its focus is on the NAFTA region (Canada, USA, and Mexico) where it aims to triple current revenue levels to around EUR 3 billion by 2020. 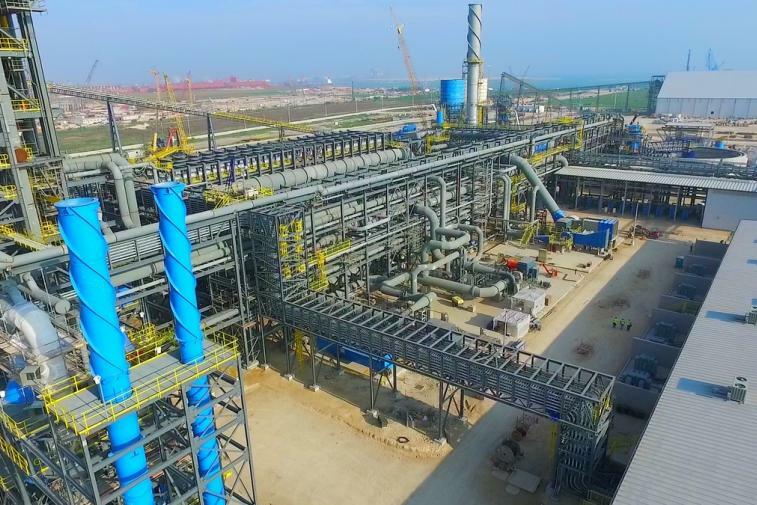 Due to several long-term contracts with well-known customers in the NAFTA region and Europe already finalized, most recently with the Mexican steel producer TYASA, and due to voestalpine’s own annual requirements for 800,000 tonnes of HBI, over 80 percent of production volume has already been allocated prior to plant startup. 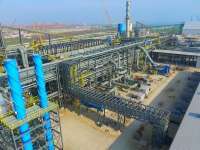 Now that construction of the 137-meter-high reduction tower – the heart of the plant – is complete, attention has turned to final assembly of the electrical and piping systems, and materials-handling technology. Test operations have already successfully concluded on some plant equipment. The test runs will be gradually extended to cover the complete plant, with the new plant scheduled to start operation this summer. Three loading and unloading cranes are currently undergoing final testing on the quay at the plant’s port which is now ready for operation. The first freighter transporting 120,000 tonnes of ore pellets is currently on its way from Brazil to Texas, and will dock at the end of April. Once it has arrived test runs can start, followed by commissioning in the summer months. Over the next ten years the new voestalpine site will create up to USD 600 million in value for the region, and provide 150 long-term jobs. Almost all of the future core workforce has already been recruited. At least 1,000 people are currently working on the construction site; at the beginning of 2016 this figure was around 2,300. By producing comparatively inexpensive but high-quality pre-material in the form of HBI, the new plant in Corpus Christi will make a major contribution to securing the future of the two Austrian steel production locations in Linz and Donawitz. The plant uses natural gas instead of coal, as well as the latest dust prevention and water processing technologies, so that it is already an environmental benchmark both in the NAFTA region and beyond. During the business year 2014/15 around 3,000 employees at the 64 sites in the NAFTA countries (Canada, USA, and Mexico) generated 9 percent of the voestalpine Group’s EUR 11.2 billion in revenue. In the USA alone, 2,400 employees generated revenue of EUR 810 million. The key growth industries in this market are the automotive industry and the railway infrastructure sector. voestalpine Nortrak is the largest single Group company in the USA. With around 1,000 employees and seven production locations, voestalpine Nortrak is the market and technology leader in North America’s rail and turnout technology segment. The voestalpine Group is also well positioned in the special steel, oil & gas, and aerospace industries. Moreover, around 13% of voestalpine shares are currently held by North American investors.